I have been recommending collaborations of bloggers for several years now and many bloggers are working together informally. Now would be a great time to get serious about putting together niche blogging collaborations. because not all bloggers know how they can benefit each other. Kelli of 3boysandadog is Team Leader and selected the other four bloggers in her niche. Each blogger benchmarked their current stats (more details on that below in the benchmarking section). Explained what anchor text and keyword phrases are so that each blogger could choose the first three phrases they want to work on. Use the tips in this post on how to use keywords in blog posts to develop a landing page for each of the keyword phrases selected. It is so disappointing that we can not get PostRank Analytics numbers as they would be some of the most revealing. Unfortunately, Google bought PostRank and that data which was public is now gone and only a blogger who has an existing login can see their PostRank analytics data now. Kelli set up a Yahoo! Group with databases in it to collect these numbers for the bloggers in the collaboration. I will discuss with them what data they are willing to share and publish at least the increases between now and result checkpoints. If they don’t mind I may share raw data as well but I will give them the choice to share or not share what is not publicly available information. One-on-one assistance to understand proper use of anchor text. Six minds to research and select the best keyword phrases. Having the other bloggers offer feedback to improve key landing pages. Each of the bloggers has already increased the number of incoming links they have from my linking to them using their best new keyword phrases and Rene at Budget Saving Mom announcing her involvement in the Couponers Case Study. I have tried to learn more about blogging and technical computer stuff over the past several years that I have been blogging, but honestly with organic gardening, homeschooling, and a family there has not been a lot of time. I have learned a few things, but not nearly as much I would love to know. Enter this group. I can not believe how much I have learned just in the past couple of weeks. Gail has been wonderful teaching us about how to grow our sites. However, on top of that, I have had four other frugal bloggers that I have been able to talk to each day. We have all been able to help each other learn so much. It has turned into a wonderful support group that we can bounce ideas off of as well as learn from. We have talked every day (multiple times), and I have loved it!! I absolutely love blogging, and my biggest frustration in the past has been lack of knowledge and technical know how, so it is wonderful to have this resource, and I am sure that my blog will benefit from it over time. There have already been some unexpected benefits from the collaboration. Any time five people with similar interests start interacting regularly that is bound to happen. Helping each other install coupon databases. Discussing plugins resulting in installing CommentLuv in at least one of the blogs that did not already have it. There will be many more posts detailing what we are working on and documenting the results. I encourage other bloggers to apply whatever they can and ask questions as they come up. Any blogger willing to put together a five blog group for their own niche (topic or geographic location) is invited to contact me about free mentoring. I can even assist you to find bloggers in your niche. If you need one-on-one assistance Skype is the best way to reach me. (I’m the only GrowMap there.) Leaving a comment here is the second best way and sending a Tweet to @GrowMap works well. (I don’t stay on top of DMs in a timely manner because there are so many auto-DMs.) You can also use the information on the contact tab but do let me know if you send an email so I make sure to look for it. Yes dude, Blogging collaboration is really very useful and effective too. This gives many benefits from search engine and visitor point of views. And through this way blogger community is increased. Many come in touch with others and find the best solution from each other. Blogging collaboration is really a good tool to reach out to your expected visitors. Thanks for sharing such a nice stuff and lots of praise for educating me this great idea. Tip for commenting: don’t call people you don’t know “dude” or “dear” – or in my case even if you DO know me I would REALLY prefer not to be called “dude” or “dear”. I’ve started to read some of your articles on collaboration and it really makes sense. I’ve also signed up to technorati, alexa, blog catalog, and blogged, as well as a couple of other food sites. My Alexa ranking is really coming down it just feels like things are going in the right direction. Thank you for your help. I’ll keep in touch with you regarding the Phoenix healthy food/healthy living collaboration. I’m glad you’re making progress. Any time I can be of assistance do let me know. Would you be interested in doing blog posts for a group blog I’ll be launching on healthy living? I will put together a group of five DoFollow CommentLuv bloggers in that niche and what we do together will drive your Alexa way down and double or triple your traffic or more. Respond to this comment if you’re interested and I’ll invite you. Also please add your blog to any of my posts that contain lists so I make sure I include you on ALL of my lists. Here’s one: Bloggers Promote Your Blog Here. Also, join us at Just Retweet. This post explains how we use it to Get Retweeted and drive more traffic and grow our blogging communities. Thank you for thinking of me. I’d be more than happy to be part of a collaborative group for healthy living. Do you already have a group of five? I will add my blog to your “Bloggers Promote Your Blog Here” list, and I’ll also check out the article for getting retweeted. No I haven’t started researching who else should be in our group. The one blogger I really wanted to have in just sold her blog and I don’t know when she might start another. Since that is your niche if you have any suggestions do please let me know. In blogs like mine that offer KeywordLuv or have keywords turned on in CommentLuv Premium use that to link to your blog with your desired anchor text. My post about How to Use Keywords in the Name Field explains. I edited your comment to fix that. When a blog allows you to share your Twitter username put only the username in the field without the @ and without the http://Twitter.com in front. I can’t edit that in the comments. There may be a way to edit the Twitter field but I don’t know what it is yet. If it involves going into the database I wouldn’t want to do that. This collaboration is really taking shape now. Very interesting to follow this. I hope everybody is willing to share their raw data. They’re moving forward so fast I can’t keep up with them. There will be some huge benefits to come out of that group. After having given special attention to these tips and bookmarked for future use, I realized it follows the quality advice I have come to rely on with Growmap and as always beneficial. Multi-tasking keeps evolving. Thankfully there are productive articles like this to refer. Appreciate the lift. I haven’t even heard of peerindex of klout before. I’m all for measuring for the purposes of improvement though. Thanks so much for detailing this process. This is all uncharted territory for me, but really fascinating. It seems like it’s already turning out to be a learning and growing experience for everyone involved! Hi! This is my first visit. I think your blogging collaboration process is a fun and brilliant idea. I believe that there is so much more that we can learn from each other. There is a huge potential for success because many of us are eager to connect and to learn more and many are willing to share their knowledge and offer support. In lots of cases, more heads are better than one. I’m sure there will be other benefits that you can expect from this experiment. Welcome to GrowMap, Theresa and sorry for not replying sooner. I’m getting so busy that can only answer comments as I can make the time. I see you’re interested in money so you may want to check out the links in my post about What Caused the Great Depression. It contains resources that explain the Federal Reserve, Fiat currency, etc. That’s a good idea to run some tests in an experienced team. Some things can’ be done alone, at least not without taking an awful amount of time and work. 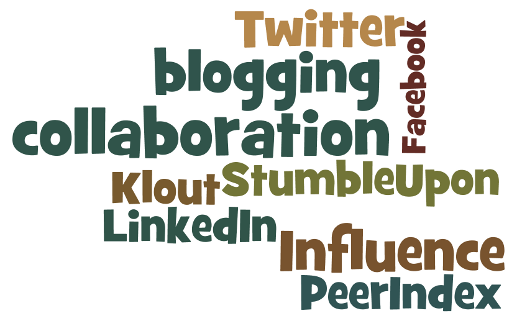 Collaborating with other bloggers would definitely help the community to share and deliver good quality content. Working in teams would be more fun than working individually. However, if some people are comfortable working on their own, they can atleast contribute the ideas section and also get ideas for their own blogs. Nice thought Stefan… I am a man who enjoys working with group and it is just amazing how UNITY works. As the saying goes two heads are better than one. As a starter for blogging I have never read such quality post that I would need as a beginner. I would give you credit for the benchmarks because I really need those. I see a lot of great benefits from blogging collaborations just by reading this post. It is indeed a very quick and easy way to gain adequate knowledge about blogging and analyzing page ranks. Good and very beneficial for both old and new bloggers in the blogosphere. New bloggers learn from the old and experienced ones while the ole bloggers get extra hands for their blogging efforts to become more effective and productive. This looks like a really fun project, and a really good way to generate fresh ideas when you have collaborations like this. Right, the kind of people which comprise a team is important because the wrong people can make things difficult. Collaborating forms the base of any team. It is important to realize that a team can comprise of people with different personalities but this should not affect the common goal of the team. This is a great idea. I certainly think the power of community and collaboration will make some strong results. Working as a team like this will always work to gain better results than going it alone. I will be interested to see the results over time from this. Great Idea. Working as a team seems to be fun as well as well as highly productive but the only problem one may face is the difference between opinions, but I am sure if it can be overcome it surely is a whole lot better than blogging alone. I am looking forward to seeing the result of this test. It helps to have someone like me to help smooth the path. Many of us who love tech and blogging are better at working alone and are still working to develop better socializing talents. Collaborations and social media are teaching us all the value and importance of relationships in a time when knowing who you can trust and really connecting are so needed. growmap would love you to read ..Looking For Domain Name Ideas? Use These Tools. The benchmarks you have shared are quite useful. I started blogging only before 6 months and have a long way to go before I see an effective rank for my blog. For many years that I have been blogging, there are still so many things that I need to know in order to be consistent with the ranking. And the blogging benchmarks that you have shared are very helpful especially for those who are amateur. Once you know them the challenge is to find the time to do them consistently. Part of what helps is to automate some of it and focus on what you need to do manually. Hi, my first time commenting here. Overall, very nice tips.. I’ll more comments for you. Thanks! They may be basic but it can be months or years before most bloggers know about most of them. There is a good reason why so many bloggers are collaborating – because blogging is complicated stuff! I honestly believe that group blogs are going to be more common and more powerful in the future. Why should everyone who has wisdom to share need to install and maintain WordPress themselves? It is much faster and easier to grow a blog when there are many submitting and promoting content. People who work together – succeed together. It’s kind of hard to keep track but if people are committed to a common goal, although with different individual results – they will surely succeed. You’re absolutely correct. These five bloggers starting realizing the power of interacting regularly almost immediately and what they’re doing goes far beyond what they would have ever imagined. There is nothing as powerful as collaborating – especially within a niche and with others who are blogging, SEO, and social media savvy. Unless you have a really unusual niche there are more blogs in it already than you can possibly imagine. There are two ways to go: five blogs in the same geographic area like the Washington D.C. Foodie bloggers Rohan @365thingstododc put together or 5 blogs with related content. Rohan has actually already found 44 food blogs for Washington DC. That did surprise me – and in their case they have food in common, but a collaboration of bloggers in one location that had different niches will also work. Related content blogs could be spread across the country or even in different countries or they can be only partially related. The five bloggers in this collaboration overlap on coupons but not all do recipes and only one does organic gardening as far as I have seen so far. If anyone wants to put together a collaboration I am happy to do some research and ask around and see what other related blogs I can find. this is my first visit on ur blog u guys rock here. benchmarks points are really great very valuable inforamtioon……. Have you considered putting together (or joining) a collaboration of gadget blogs?